I know video game already become the entertainment for all of the people who feel bored when they don’t have something to do. But, you know video game also have side effects that are quite destructive for your own body? Of course, all of you only think the positive effects. everything that you do without any limit is not that good, it’s also same with a video game. That’s why my today topic is about the dangerous of video game. If you curious just see the side effects of vide game below! The Dangerous of Video Game Addiction! Do you want to Keep it? Eating Habit: The first important thing is eating habit. Of course, people who tend to play a video game, they never want to leave their position. So, as a result, they selected food is junk food. It’s not a real problem if you eat junk food. But, if you eat it everyday it will become a real problem. Not only you can’t buy your favorite game again, but you will also enter the hospital because of this act. That’s why you need to fix your eating habit, it will affect your future guys. Become Neet ( Not in education, employment, and training): Yeah, if you can’t control your gaming time anymore, you will become like this one. Because in your thought is only about gaming and gaming. The others activities that you should tend are canceled because of this matter. Of course, you don’t want this tragedy to happen, right? That’s why you also need to understand your activity. Actually, all of them is really important if you can think straightly. Loss of Vision: Yeah, it will reduce your eyesight for sure. At first, it’s not really that destructive, but slowly but surely it will destroy your vision. Because the light that emits from the screen not really good. That’s why you need to limit your playtime. Don’t play your game all day long. Not only reduce your vision, but you will get a headache from the light on your screen. Emotionally Unstable: Yeah, Because I ever see my friends like this. Their emotion is really unstable. For example, I ever visited my friends to play the game with him. At first, he sounds really happy, but when he lost the match, he becomes really angry because of the lost. I know it does not feel right when you lost. But, it’s not exaggerating, right? That’s why for fellow gamers, don;t you ever do this kind of thing. I will make all the people around you leave you all alone. You already know the dangerous of video game. Hopefully, it can enrich your knowledge about this matter. 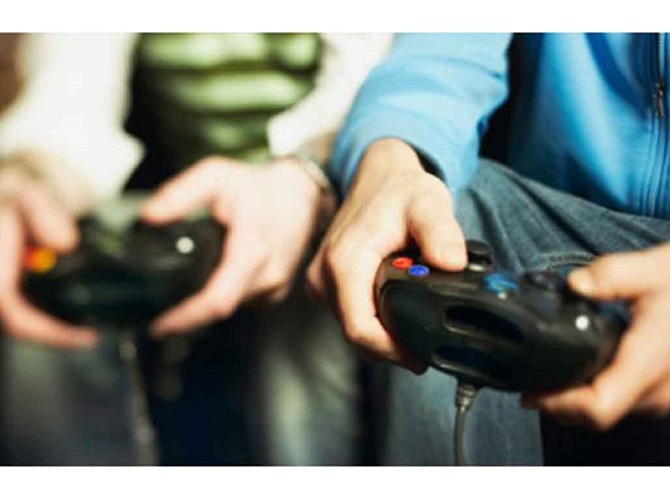 If you want to add something regarding video game addiction, don’t hesitate to leave your comment below. I’m really glad if you can do that. I know my article not that perfect, so I need everyone help to make it become more amazing. Okay, guys, I think it’s enough for today. Have a nice day and see you again next time.